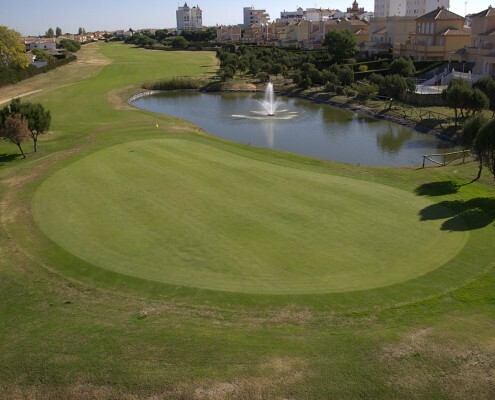 Located in the province of Huelva (Western Andalusia), Doñana Golf has excellent connections to the airports of Seville, Jeréz and Faro. It is situated in the environment of Europe`s most important Nature reserve: El Coto de Doñana. Right on the Atlantic Ocean, the 18 holes of the Doñana Golf offer the ideal frame to enjoy all golf related pleasures. The 18 holes which compose the round represent a wise combination of links and american style and turn the course into an unforgettable experience for golfers of any playing level. The spacious tees, the fairways and the big greens allow such versatility that the player feels he played every day on a different course. The round is easy to walk and obliges the player to use all the clubs. The first nine holes, apart from their technical quality, are an authentic walk through an incomparable natural environment. The second nine holes empower the player to develop all his creativity with the clubs. Once finished the round the player remembers perfectly all the holes he played, sign for having enjoyed the game. 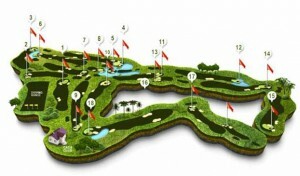 The designer of the course, Fernando Menaya Nieto-Aliseda, achieved a perfect integration of the holes within the environment of “Doñana’s National Park”, and the layout offers miscellaneous holes which draw the attention of amateur golfers as well as professional players and assures their interest in the game during the whole round.